Coastal areas of the contiguous U.S. 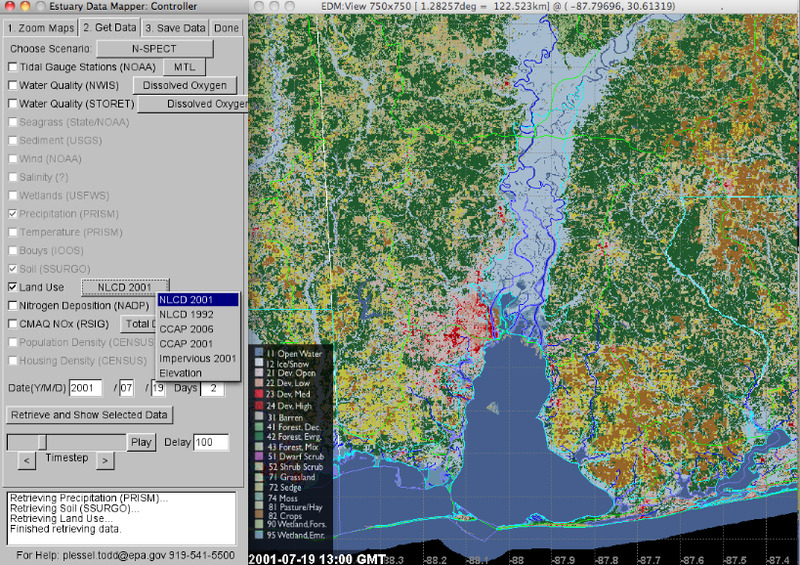 This tool is a free, stand-alone desktop tool for searching, viewing, and downloading geospatial data for estuaries and their associated watersheds in the conterminous United States. 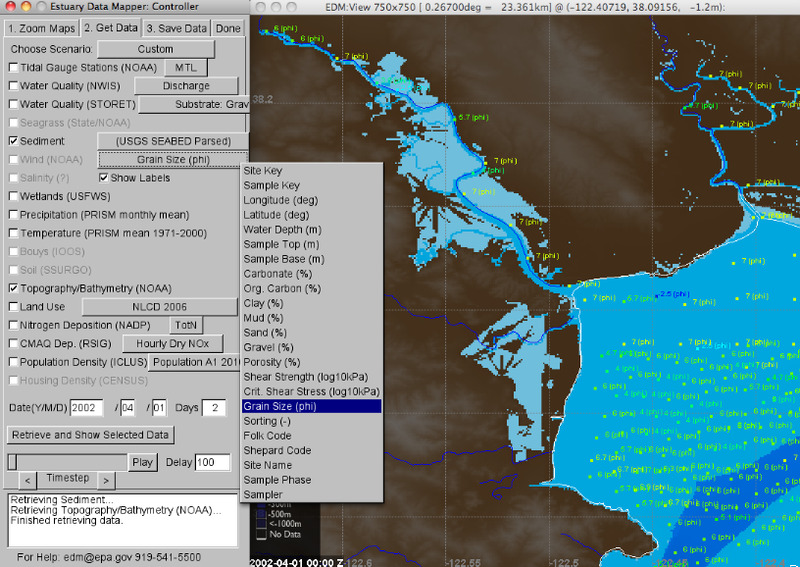 Using a variety of federal agency web services, the tool provides ready access to environmental time series data such as water and sediment quality, freshwater discharge, and tides. 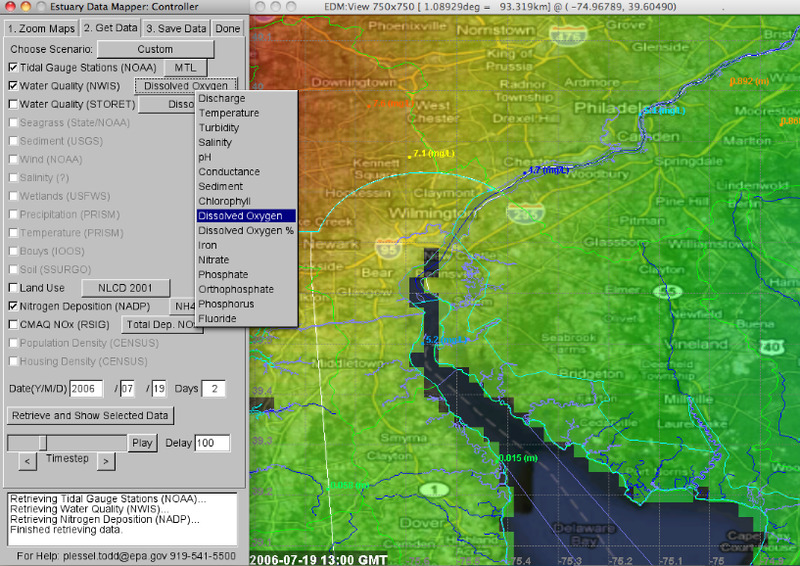 Users can select specific data sets for display and download or choose prepackaged options for input into specific decision-support tools and models. 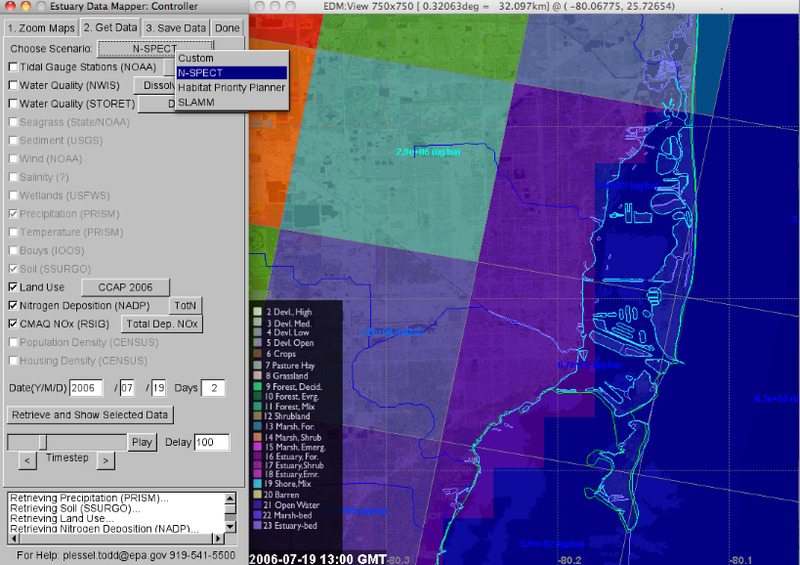 Outputs are available in open-source formats, including shapefiles, kml files, and ASCII grids. 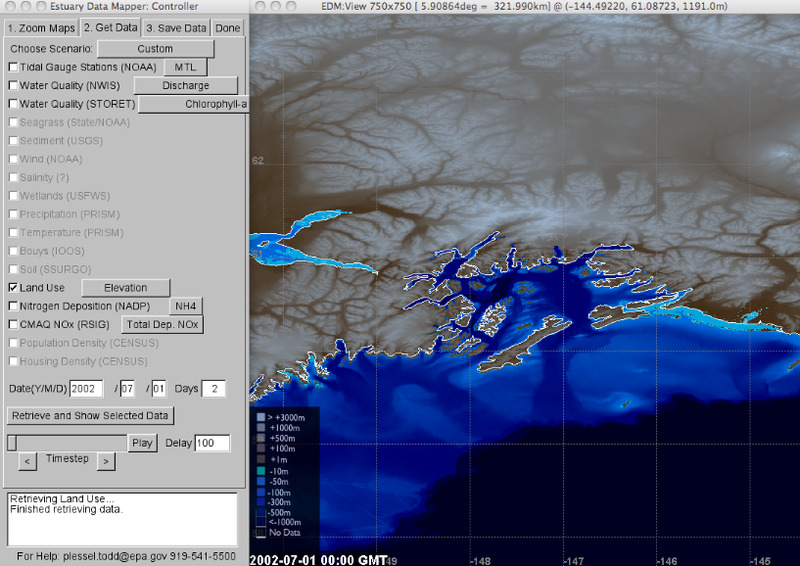 To download, please visit https://www.epa.gov/hesc/downloading-and-installing-estuary-data-mapper-edm.